Of all the problems that can occur within your plumbing system, pipe breaks are some of the most severe. Pipe breaks can grow from small drips to larger leaks rapidly, which is why it is essential they be handled in a timely and efficient manner. They can often come without warning and at the most inopportune times. This is where the Phoenix AZ plumbers with Smiley Plumbing come in to provide your home with the best quality plumbing services today. Whether it is frozen pipes or broken pipes, pipe breaks can be extremely common plumbing problems. As any homeowner that has gone through this can attest, frozen pipes are something many of us never want to have to deal with. Frozen pipes can break extremely easily, which can pose you with a very large problem in your plumbing system. Pipe breaks can cause toxic mildew in your home, rust your cabinets or wood flooring, and destroy your prized possessions through excessive water damage. Our prompt plumbing professionals can make sure this common problem does not occur to you. And courteous, on-time service as well as 24-hour emergency repair available, you have nothing to lose. For all your plumbing issues in Phoenix and the surrounding area, Smiley Plumbing is here to help. For additional information regarding pipe breaks, give us a call at 602-298-8100 or contact us online today. When it comes to the plumbing in your home, there are many problems that can potentially occur within your system. Whether it is a backed up bathtub or a stopped up sink, there are many times you will need to rely on a licensed professional to get your systems back up and running. Oftentimes, these problems occur outside the typical 9-5 hours most businesses operate it. That is why our Phoenix AZ plumbers at Smiley Plumbing offer 24-hour emergency repair, seven days a week. With our 24-hour emergency repair services, you will never have to worry about a sudden system breakdown shutting down your plumbing. Our trained and knowledgeable plumbing professionals can make sure your system is running smoothly and efficiently, no matter what time of day or night. We are always available to answer the call, and possess the equipment, skills, and tools needed to handle any project effectively, large or small. And as part of our professional policy, all of our plumbing repairs come with a satisfaction guarantee. When you find yourself in need of a sudden plumbing repair, you often don’t have time to wait until the morning. With the 24-hour emergency repair services provided by the reputable and reliable plumbing professionals at Smiley Plumbing, you won’t have to. For additional information regarding emergency plumbing repair in Phoenix and the surrounding area, give us a call at 602-298-8100 or contact us online today. There are many problems that can occur with your plumbing that put a stop to your everyday activities. A clogged kitchen sink or backed up bathtub is just one of these common occurrences. A slow-draining sink can prove a major inconvenience in your home, and is not a problem to be put off for another day. Rely on a professional plumbing company to get your drain back to flowing freely in no time, meaning you’ll never have to be without proper plumbing. Our Phoenix AZ plumbers at Smiley Plumbing can clear your clogged drains, ensuring peak performance for your plumbing system today. While there are many things that can clog your plumbing system, there is only one company to count on when it comes to clearing them. 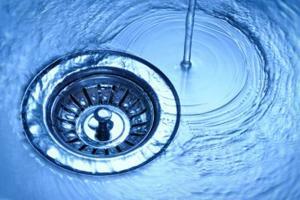 Using the latest technological advancements in drain cleaning, we can get your drain back to working order in no time. Clogged drains can become worse over time, often due to material buildup that continues to collect, so it is essential that you alleviate these issues as soon as they start. Our plumbing experts rely on various methods of drain cleaning, and we can diagnose the root of your clogging concern and devise the best plan for clearing it. Oftentimes, the cause of these clogs can be material buildup, be it excess food and grease in your kitchen sink or hair and soap scum buildup in your shower drain. However, sometimes the issue is much larger, like a tree root growing into you sewer system causing a massive backup. This can be an emergency plumbing situation, which is why we are fully outfitted to handle such a situation and offer 24 hour emergency service. When it comes to dealing with drain clogs in your home, do not hesitate to trust a plumbing professional to take care of this inconvenience today. With any comments, questions, or to schedule a drain cleaning service today, give us a call at 602-298-8100 or contact us online today. Considering over 50% of sinks now come equipped with them, keeping your garbage disposal in great shape can be a task in itself. A poorly performing garbage disposal can be an inconvenience to any home, not to mention cause strong odors to seep into your kitchen from food leftover. 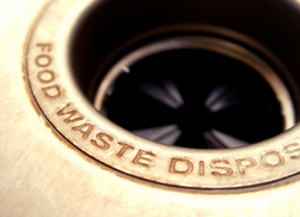 Our Phoenix AZ plumbing experts at Smiley Plumbing know that a lot of work can go into maintaining your garbage disposal, so here are some helpful tips to keep your disposal – and your kitchen – flowing smoothly. Remember that not all food is meant to go down the disposal. It is best to use small amounts of food at a time to avoid your disposal becoming backed up by an amount it simply can’t process. A garbage disposal can’t process bones, so it is best to simply throw those out after a meat-based meal. Always remember to run cold water while your disposal is running, as this will help the food dispose more quick and smoothly, avoiding any excess buildup. To better prevent clogged pipes, grind a few small ice cubes down the disposal every so often. This will help ensure the blades in your disposal are sharp and effective, while getting at the hard-to-reach areas in your pipes in the process. To keep your kitchen smelling clean, citrus fruits down your disposal will do the job. You don’t need to the whole fruit for this, just the peel is equally effective. After cleaning your disposal with ice, grind the rind of a lemon or lime to ensure that a fresh, citrus smell is all that wafts through your kitchen during these hot Texas summers. For more garbage disposal maintenance tips, or to schedule an appointment for an installation, give us a call at 602-298-8100 or visit us online today.